The Individual Excellence Awards are peer recognition of creative artists for the exceptional merit of a body of their work that advances or exemplifies the discipline and the larger artistic community. These awards support artists’ growth and development and recognize their work in Ohio and beyond. Applications for the $5,000 awards are accepted in the categories of choreography, criticism, fiction/nonfiction, music composition, playwriting, and poetry. Ferris has a passion for poetry and uses his words to influence his commitment to diversity and inclusion within the Toledo community. 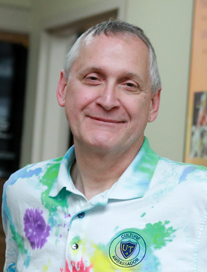 His books include “Slouching Towards Guantanamo,” “Facts of Life: Poems” and “The Hospital Poems.” The Lucas County poet laureate also is the author of “Laborare,” a poem he wrote by request for Wade Kapszukiewicz and read when the new mayor of Toledo was sworn in. Ferris said he plans to use this accomplishment as motivation to follow his passions and enhance his commitment to the community. Stroud specializes in creative writing and 20th-century American fiction. 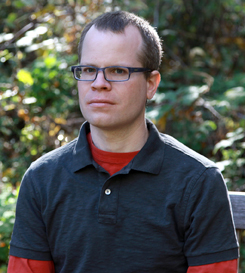 Stroud is the author of the story collection titled “Byzantium,” which won the 2012 Bread Loaf Writers’ Conference Bakeless Fiction Prize and was selected as a Best Book of the Summer in 2013 by Publisher’s Weekly and the Chicago Tribune. His stories have appeared in Harper’s Magazine, One Story, Electric Literature, Boston Review and more. This entry was posted on Tuesday, June 19th, 2018 at 3:24 am and is filed under Arts, Arts and Letters, News, UToday .